Los Angeles: The Cambridge Analytica scandal continued to take its toll on Facebook on Friday as verified SpaceX and Tesla pages on the social network disappeared and speaker company Sonos decided to pull its ads off several social media platforms, including Facebook and Instagram, for a week. Earlier, Mozilla announced that it was pulling its Facebook ads in light of the Cambridge Analytica scandal and continued concerns over data security, according to an Engadget report. 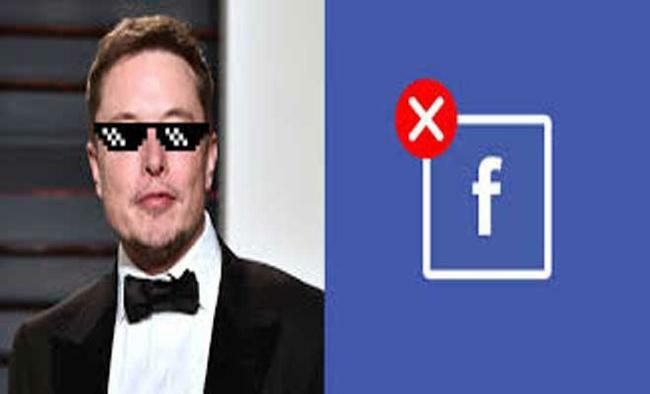 The Facebook pages of SpaceX and Tesla disappeared minutes after Elon Musk responded to a comment on Twitter calling for him to take down his rocket company SpaceX, electric carmaker Tesla and his own official pages in support of the #DeleteFacebook movement. "What's Facebook?" Musk on Friday morning sarcastically replied to a tweet from WhatsApp co-founder Brian Acton urging his followers to delete Facebook by tweeting "It is time." Musk, CEO of both SpaceX and Tesla, Inc, replied to a comment on Twitter calling for him to take down the SpaceX, Tesla and Musk official pages in support of the #DeleteFacebook movement by saying "I didn't realize there was one. Will do. "Less than half an hour, the verified Facebook pages of SpaceX and Tesla, Inc are no longer accessible, Xinhua reported.Prior to the deletion, both the two pages had over 2.6 million Likes and Follows, and super high engagement rates. The boycott "#DeleteFacebook" started after the US and British media reported that the data of more than 50 million Facebook users were inappropriately used by Cambridge Analytica, in activities allegedly connected with US President Donald Trump during his 2016 presidential campaign.Facebook CEO Mark Zuckerberg admitted on Wednesday that his company had made mistakes in a data leak that caused grave concern about user privacy possibly abused for political purposes. The company stressed that all people have the right to know how their data are being collected and used, and that each technology company has an obligation to honour the commitments it makes to the customers' privacy. "For us, this isn't about one social network or advertising platform; It's an acknowledgement of the work we all have to do - Sonos included - to enable our industry to play a productive, empowering role in our society, in a way that works for everyone," Sonos said.